How do you turn a charitable donation into a scam? Take the donated item and sell it for a profit, instead of giving it to the needy. New York Attorney General Eric Schneiderman said his office has reached a settlement with a for-profit company accused of doing just that, by way of more than 1,100 clothing donation bins scattered throughout the New York City area. 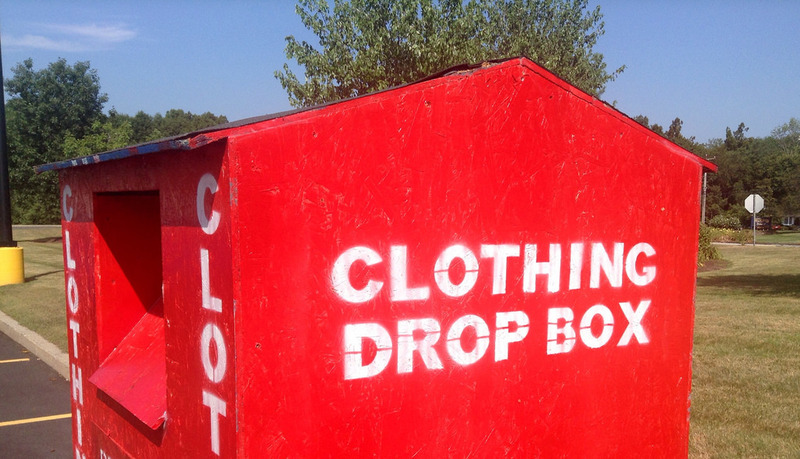 Instead, Thrift Land turned around and sold the clothing at “huge profit” and the charities featured on the bins only got a small, monthly fee for use of their name and logo. As part of the settlement resolving the above allegations, Thrift Land has agreed to pay $50,000 in penalties and costs, and will give $650,000 to two not-for-profit organizations “so that the charitable intent of the people who placed clothing in its bins will be fulfilled,” Schneiderman’s office said. Schneiderman’s investigation also found that Thrift Land engaged in false advertising with mailings and its website, both which misled the public to believe that proceeds from the sale of used clothing would go toward helping the two charitable groups. I Love Our Youth will also pay $50,000 to settle claims that it continued to let Thrift Land use its name to reap rewards from the scheme, even after the charity’s state registration and federal tax-exempt status had been revoked. The chairman of the group has also agreed to dissolve it. Big Brother Big Sisters of Rockland County has agreed to keep a closer eye on any charitable solicitations or advertisements in its name to resolve allegations that it had failed to oversee what Thrift Land was doing with its name and logo.